"Waiting On" Wednesday is a weekly event hosted by Breaking the Spine that spotlights upcoming releases that you are eagerly anticipating. 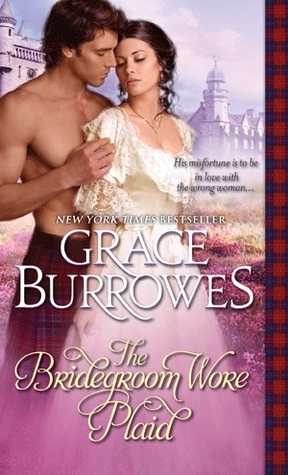 I am in the mood for historical romance this week and Grace Burrowes's The Bridegroom Wore Plaid seems to fit the bill! Have you ever read anything by Grace Burrowes? What are you waiting on this week?